We are starting the third week of BM today, with me taking up to do Member’s Choice. During one of our discussions, I felt all of us would have some to do list always and wanted to find out what others had on their list. So that resulted in each of us, listing out what we wanted to do. Of course we can always make these anytime, however as a BM theme it is bound to have more effect.Having thought of the M themes for the whole of this month, it just suited fine that this was also starting with M. And I was so confused on what else to do, however many of the items were not done and I thought I could take up this chance to make them. As we least expect it, things turned out very hectic and I didn’t’ even have some of the basic things like the mold to make them. After a speedy shopping to get the molds, things again went off very quickly and I didn’t’ get down making anything ahead of time. 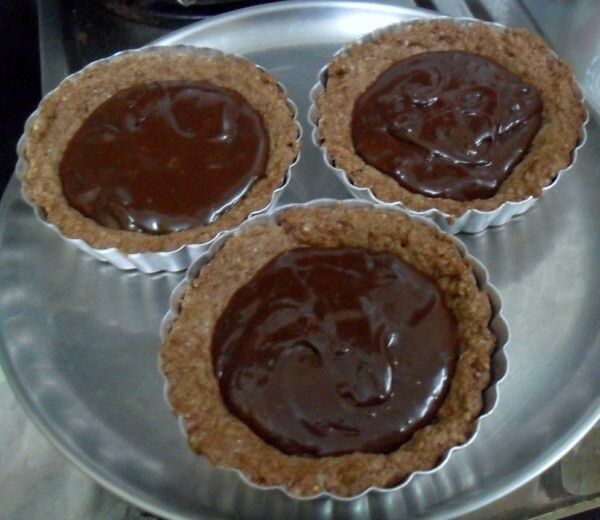 Though I had noted down what I would want to do, this tart was a last minute preparation, as I realized whatever I do, if I have to get the kids eat, it has to be chocolate.And imagine a double dose of chocolate, even though I ended up making enough, it was over by a day. I didn’t expect less, still it made me happy that kids loved it. 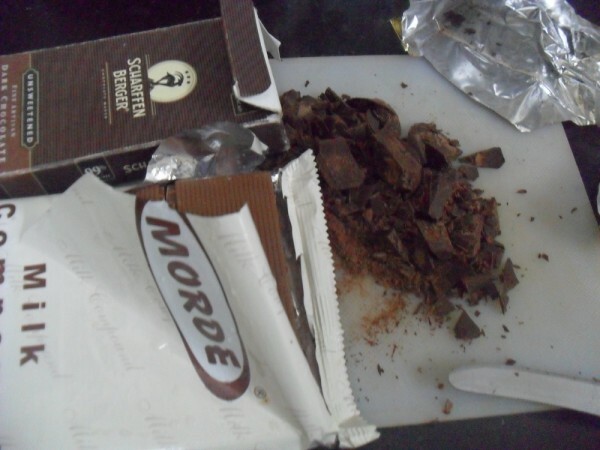 I went about the recipe with just the thought that I should make it very chocolaty and just assembled with what I had with me. 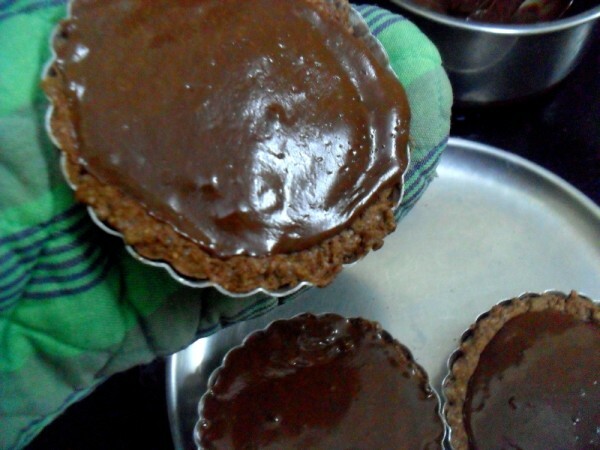 The last I had made pies, tarts were when I was in college and it’s been a while since I actually wanted to make them again. 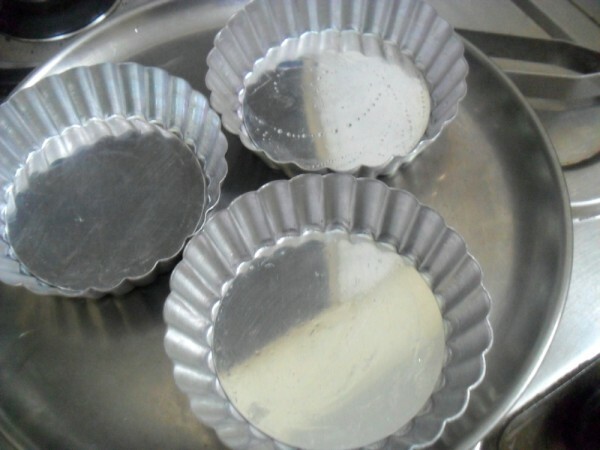 Every time I visit a baking shop, I decide I should pick up those molds but would decide against it. So imagine when I had to rush around the city in the hope of finding those perfect molds. I couldn’t’ get the medium molds, so ended up getting very tiny ones, and this one was more of a bigger tart then I would have wanted. So had to cut into smaller serving pieces. I made this way into the night and had to wait for the next morning to click pictures. Would you believe my kids had this the first thing in the morning, having brushed their teeth with a promise of this treat. And when I came back home, everything was over! 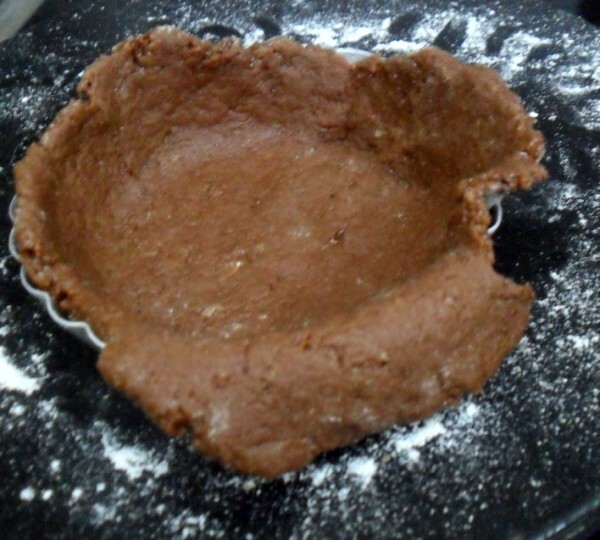 In a bowl, take the flour, cashew almond powder, sugar, cocoa powder, salt. 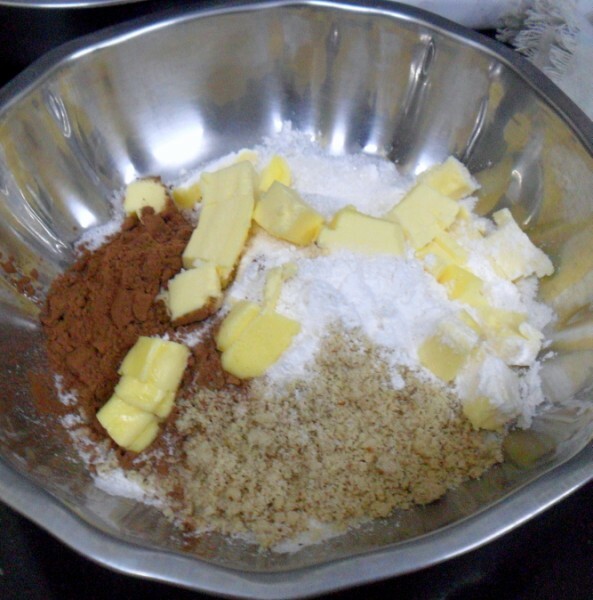 Mix everything together, then rum in small cubes of cold butter until it becomes crumbly. 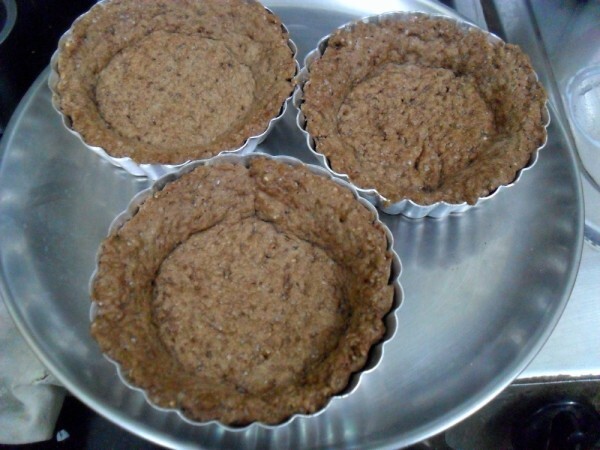 Then slowly add cold water in teaspoons and gather the flour together. Knead to a smooth dough and refrigerate for 10 mins. 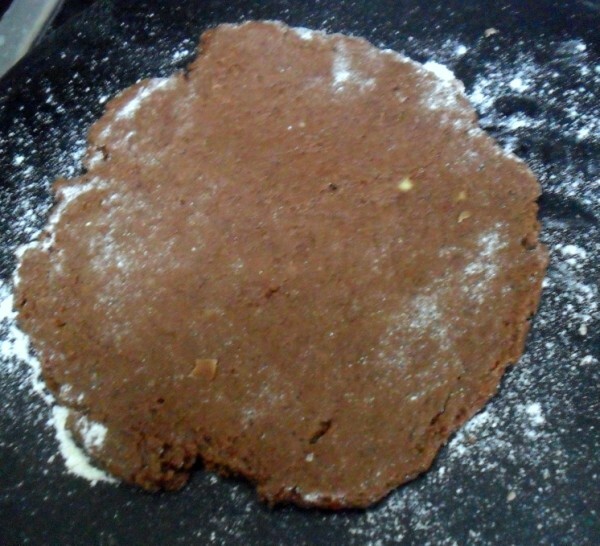 Once the dough is done, remove to a rolling board, dust with flour and transfer on the greased mold. Prick with fork to ensure the crust doesn’t rise. 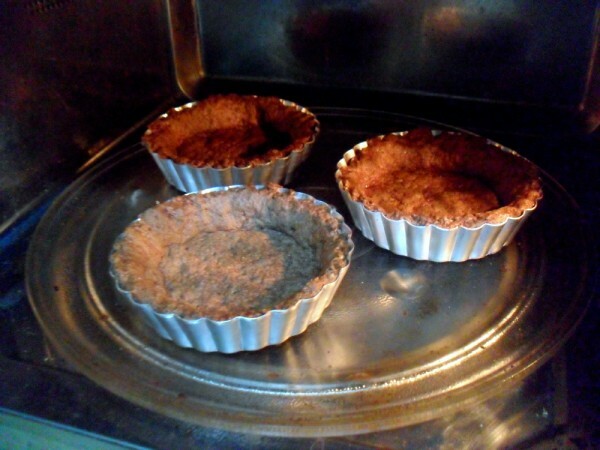 Bake in a pre heated oven for 25 – 30 mins, depending on how it gets cooked. I did intervals of 10 mins and finally 5 mins. 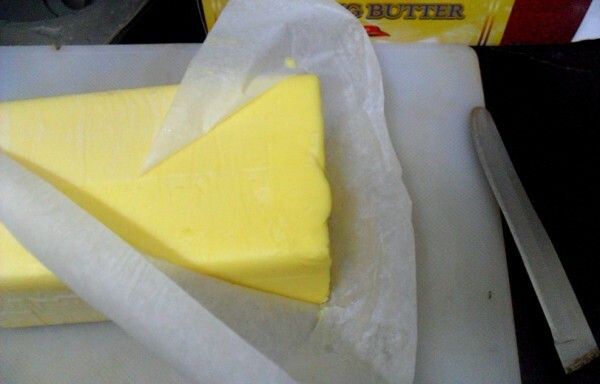 Allow it to cool down, while you make the fudge. 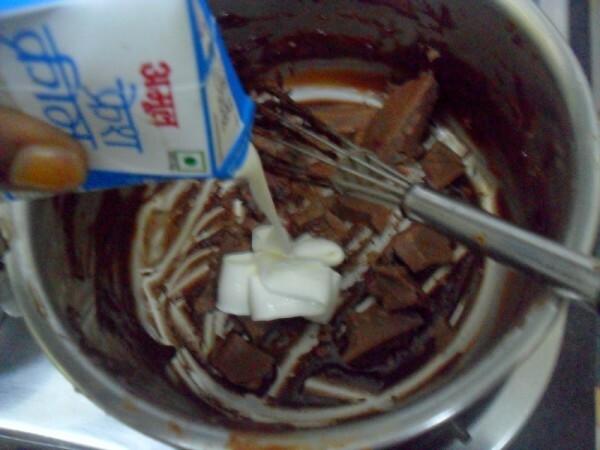 In a thick bottom pan, take the chopped dark and milk chocolates, add the condensed milk and stir over medium flame. It takes about 5 -6 mins for the mix to start cooking. With a wisk keep stirring making sure the bottom doesn’t get burnt. 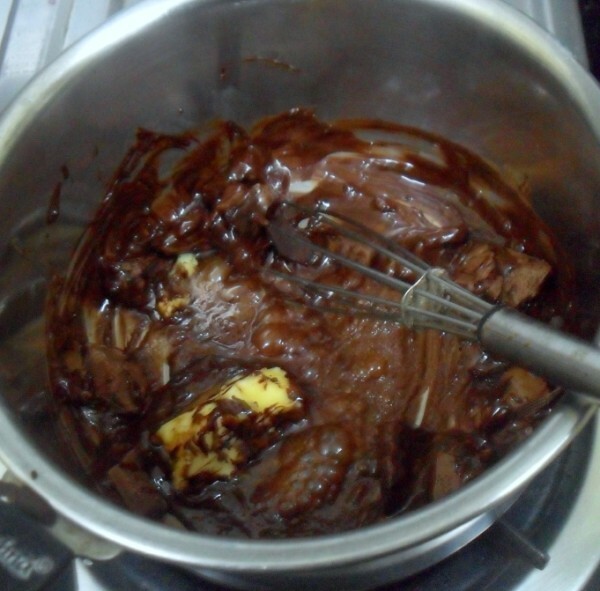 When the chocolate is all melted and starts to get thick, add the butter and keep stirring to get the chocolate get done. 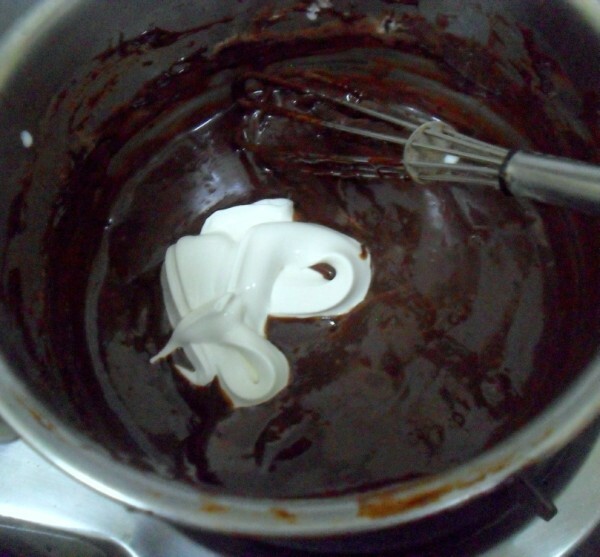 Bake again for 5 -6 mins, the fudge gets set by the end. 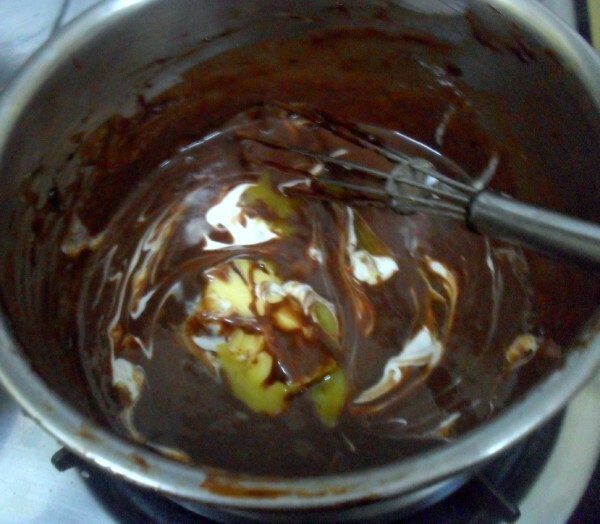 However I used milk chocolate with butter, and finally add the cream and allowed it to get settled. 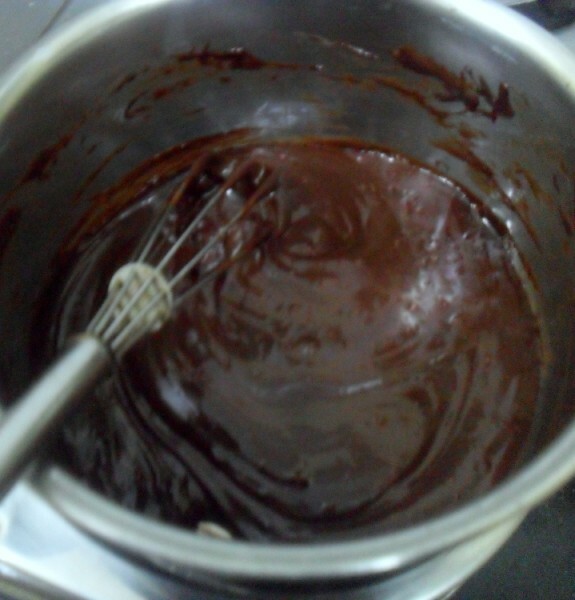 Since the fudge had dark chocolate, I wanted the Ganache to be more sweeter and mild. 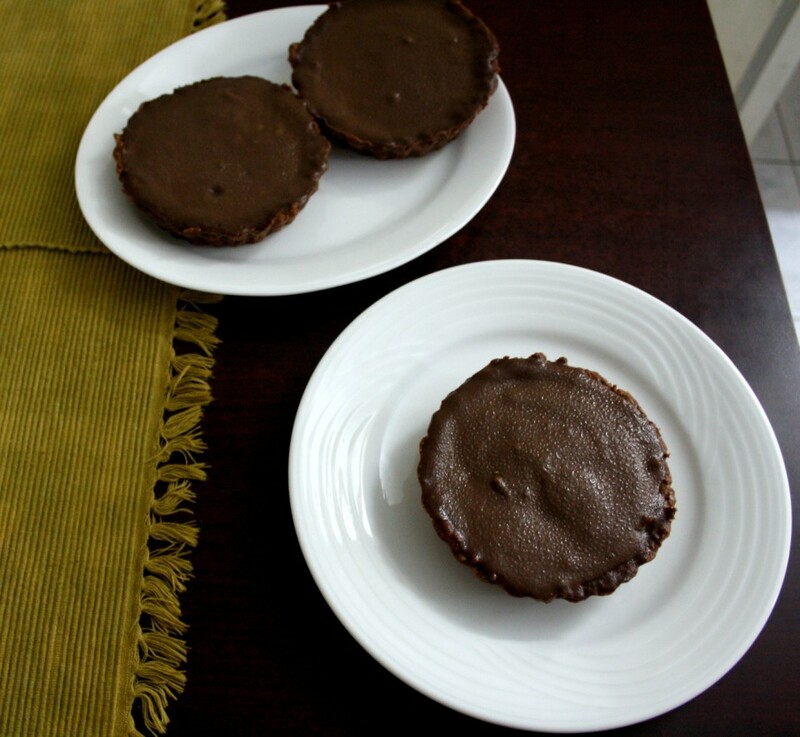 Once the ganache is done, pour over the baked chocolate fudge and tilt the molds around. 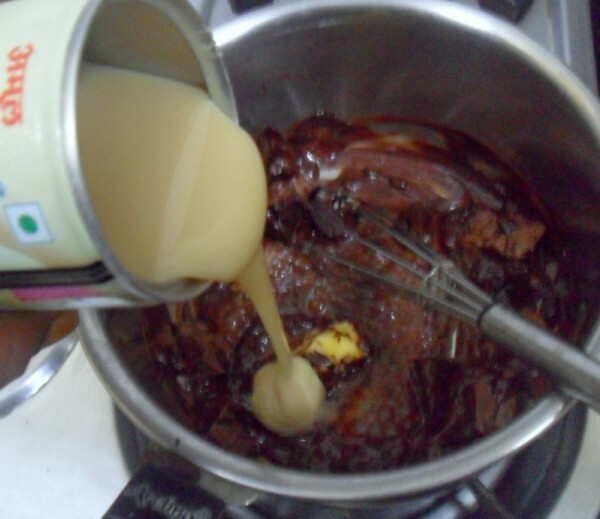 This way the sauce gets spread in even and holds its texture. I refrigerated it overnight. And it was so delicious to dig in. The side pictures showing the different layers was simply too good, if I may say so myself! 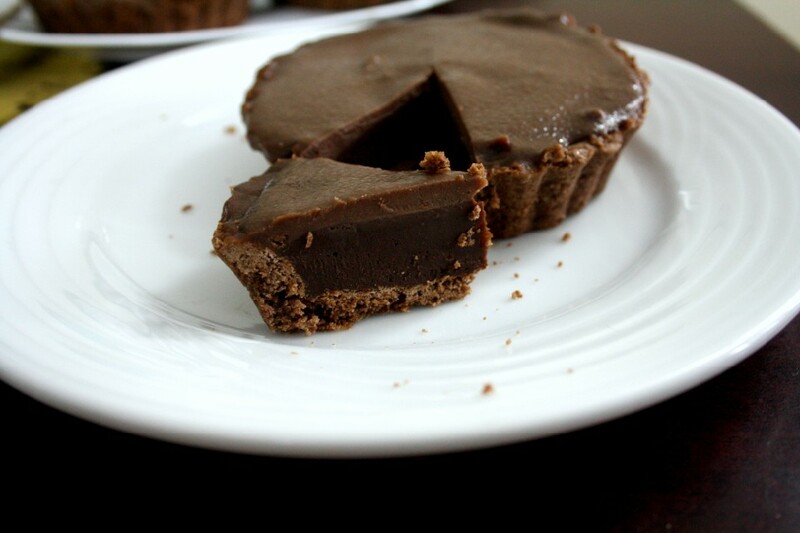 Wow , tarts looks amazing . You are a chocolate queen , I must say!! 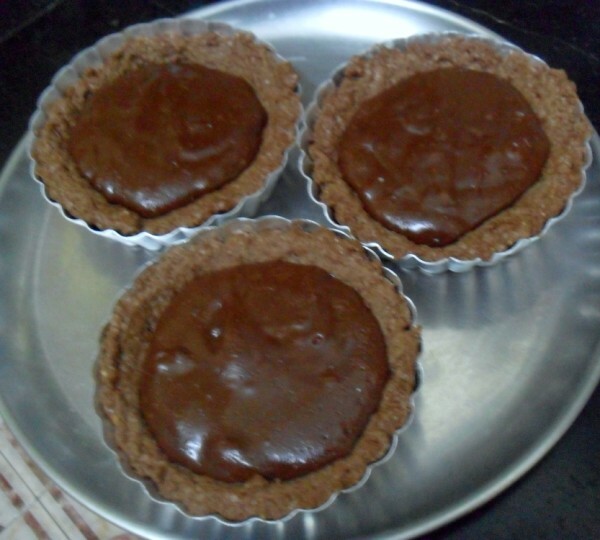 Omg, am keeping myself away from chocolates and u r killing me with ur tart, stunning and attractive tarts,i want some rite now. 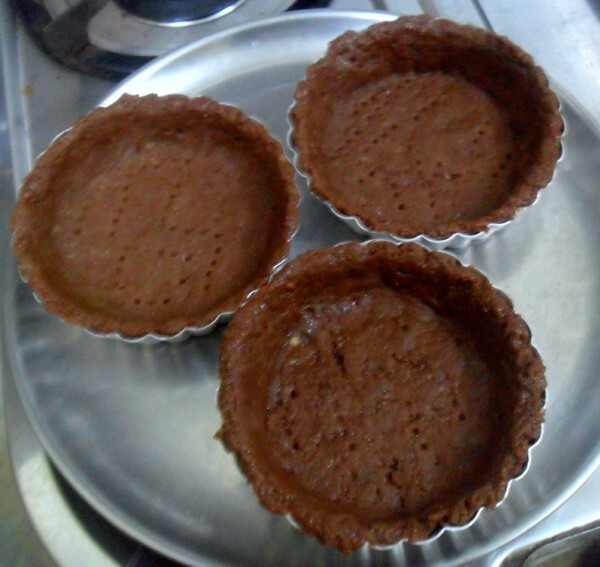 Lovely tart valli.. Drooling here..
Pradnya..hehehe..well it was only my kids and Konda's friends who ended up eating this..as you can imagine, this got rare reviews as being the final nirvana..I am sure I am going to be making it again. 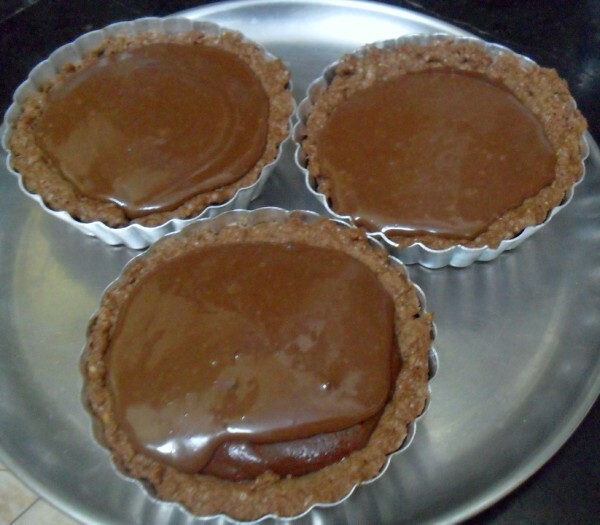 Wonderful tarts Valli. My daughter would fall flat even if I show her the snaps…. 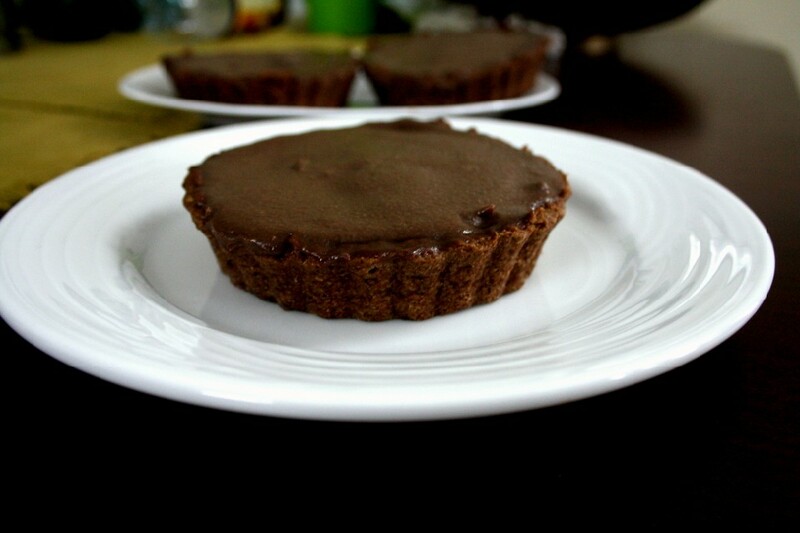 wow delicious chocolate tart 🙂 drool worthy treats !! Wow! So much chocolate. 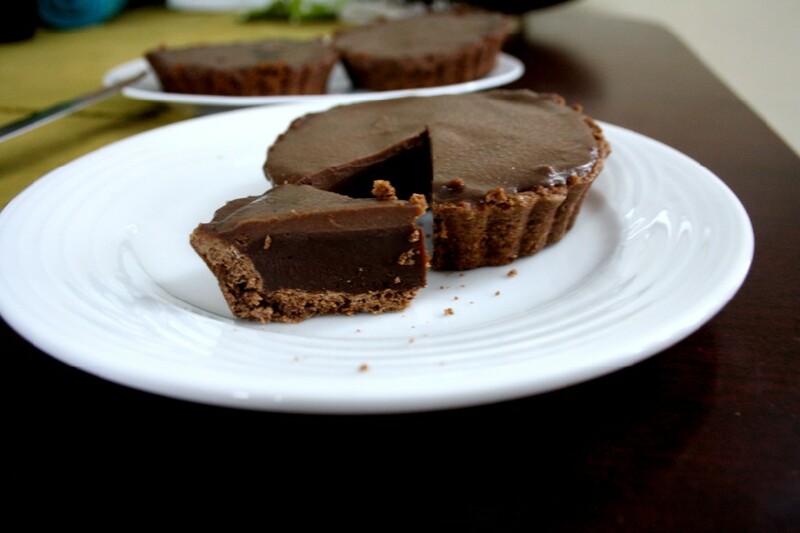 Even I'd go to school now if I were to get these after-school chocolate tarts! Have come out perfect. They look gorgeous. 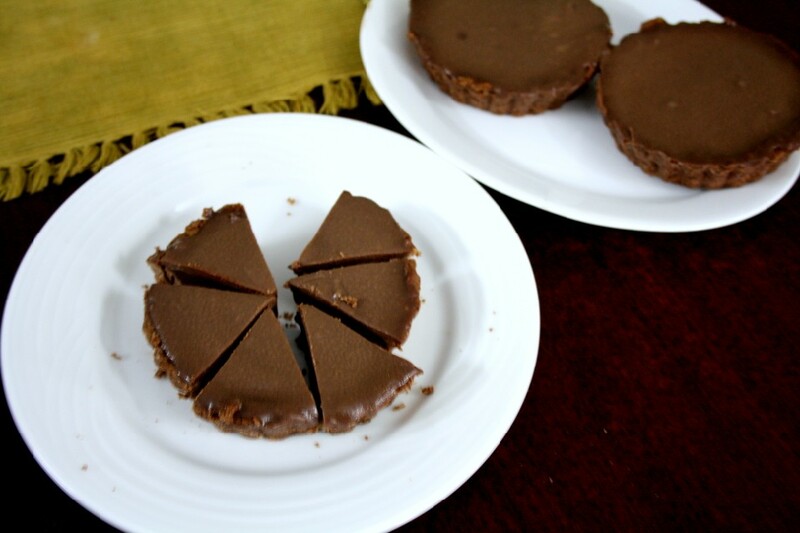 The tart moulds look so cute and it is an absolute heart winner! !